The minimalist design of industrial accents office desk lamp, combines a simple wooden base with curved metal arm for the perfect ensemble, perfect for office, college dorm, home or studio. 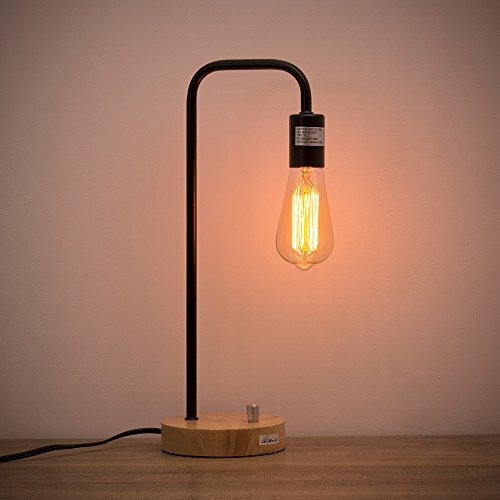 Great as a reading lamp, office lamp, work lamp, night lamp for any room! Good advice: To get the complete industrial look, we recommend using an E26 decorative Edison or vintage bulb (not included).